Young couples in town for a weekend on a budget, traveling hikers in waterproof jackets determined to walk everywhere they can, or badly prepared visitors arguing where to go next, I’ve seen them all on the streets of Dublin. I like to be prepared when I visit a city for the first time. I meticulously research and create a list of sights that I could see in the amount of time at my disposal and I stick to it (or at least I try). Dublin city centre is fairly compact and can be easily explored on foot. 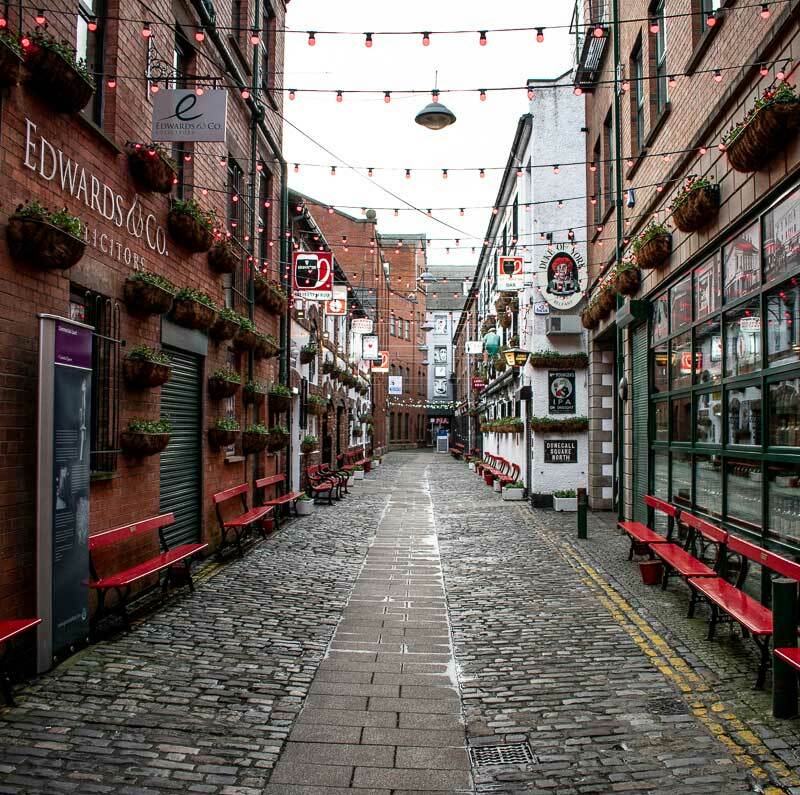 Knowing Dublin very well, I put together an itinerary for a self-guided walking tour focusing on sights located in the city centre so you can see as much as possible in one day. Time spent on this tour depends entirely on you. 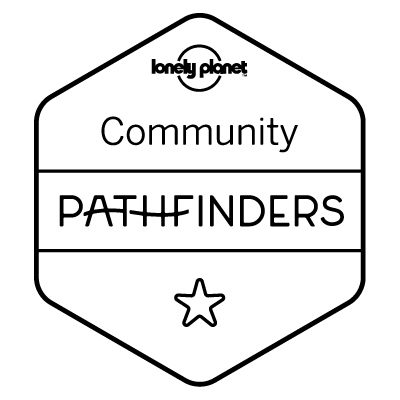 It can be completed in less than 2 hours if you plan on just getting a feel for the city. Or you can spend all day if you decide to explore further and visit some of the attractions along the way. Start your day on O’Connell Street. This large thoroughfare featuring statues to various Irish political leaders was in large part rebuilt after the violence of the 1916 Easter Rising. O’Connell Street has been the backdrop to several political events over the years and remains today the starting point of public protests and demonstrations. On O’Connell Street is one of Dublin’s main landmarks: the General Post Office. It is still a working post office today, rebuilt after its near-destruction during the 1916 events. Don’t hesitate to have a quick look inside. Also on O’Connell Street can be found the Spire, a controversial 121 metre high needle of stainless steel that is now one of Dublin’s most recognisable features. Taking a selfie on the Ha’Penny Bridge is a real cliché that few can resist. It is also a real challenge. 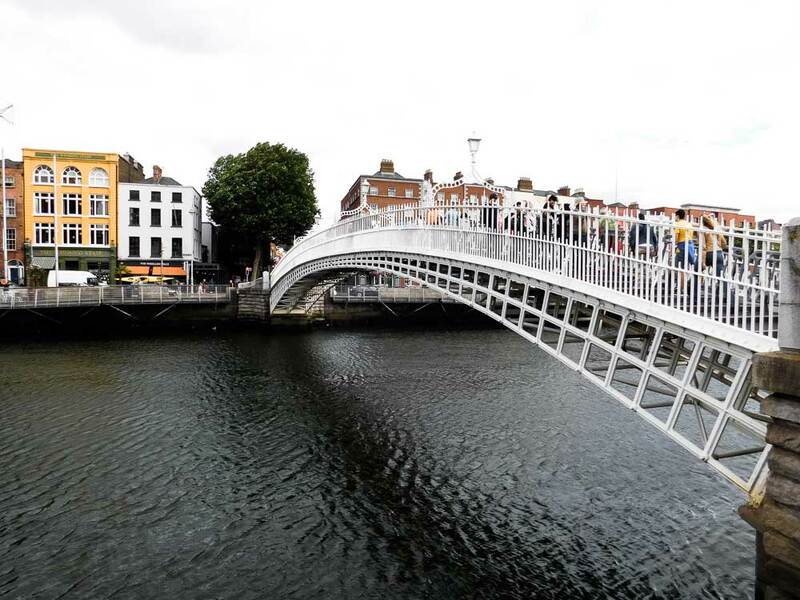 Made of cast iron, this elegant but narrow 19th century pedestrian bridge over the River Liffey is a Dubliners’ favourite to cross between the North and South side of the city. Also very popular with tourists, it can become congested at times. The bridge was built in 1816 to replace rickety ferries used by pedestrians to move between the North and South bank of the river. It owes its name to the toll that people had to pay to cross the river: half a penny. 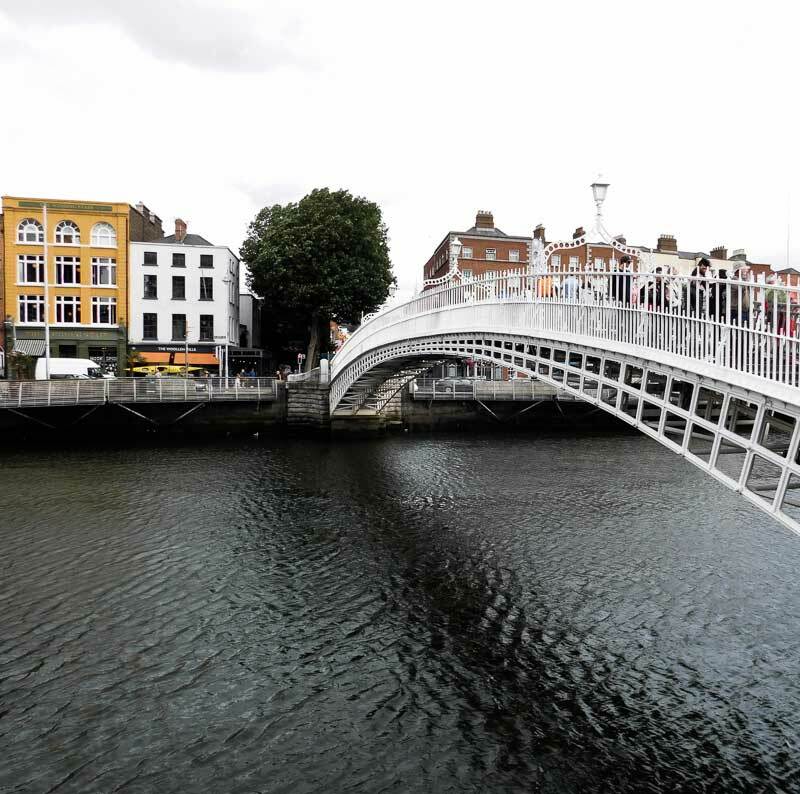 Once you have crossed the Ha’Penny Bridge, head straight beneath the archway and enter Temple Bar. The most photographed part of Dublin, Temple Bar is famous for its colourful pubs and Irish music pouring down its cobbled streets. Often decried by locals as a tourist trap charging exorbitant prices for a pint of beer, Temple Bar is also home to funky vintage shops, interesting Art galleries, reputable restaurants and - a favourite of mine - a food market every Saturday. Just across from Temple Bar is Dublin Castle. This wonderful piece of Georgian architecture is a must-see. Dating from the 18th century, it replaced an earlier Norman fortress ravaged by a fire in 1684. You won’t be allowed to enter the building without a ticket but you can take a stroll around the Upper Yard for free and admire the Chapel Royal from outside. 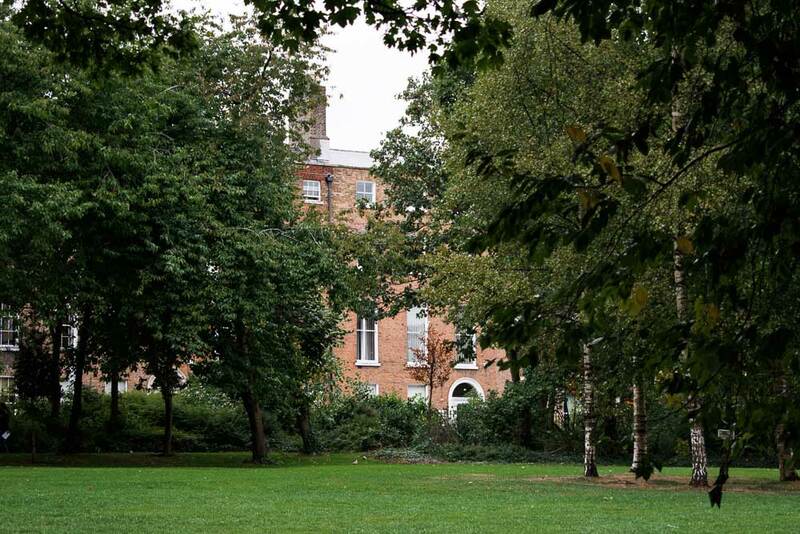 At the back of the Castle can be found the Dubh Linn Gardens, a landscaped haven of peace in bustling Dublin. It is also here you’ll discover the Chester Beatty Library. No doubt one of the best museums in town, the world renowned Chester Beatty Library is also free to visit. Your chance to take a peek at rare and richly decorated Bibles and Qurans dating back centuries ago. Next to Dublin Castle is the City Hall. Built in the 18th century, the building is a great piece of neo-classical architecture. City Hall holds temporary exhibitions and access is free. Five minutes away is Christ Church, Dublin’s oldest cathedral. Extensively restored in the 1870s, it is an interesting mix of 12th-13th century architecture and Victorian Gothic features. Entrance is not free. If you decide to spend some time here, the guided tour will give you the opportunity to ring the bells up in the belfry. In the Synod Hall of the Cathedral across the bridge is Dublinia, a museum dedicated to Viking and Medieval Dublin that commands the access to the medieval St Michael’s Tower. Entrance is with ticket only. 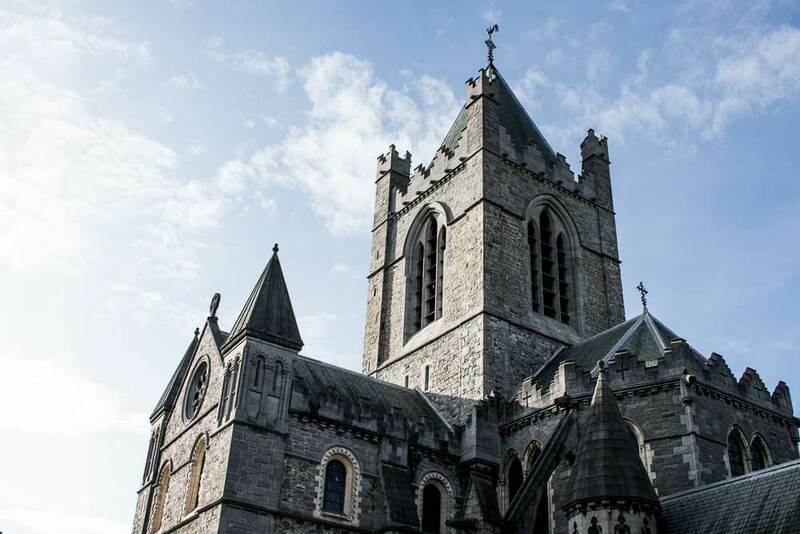 Located 5-10 minutes down St Patrick’s Street, Saint Patrick’s is Dublin’s second cathedral. Jonathan Swift, best known as the author of Gulliver’s Travels, is buried under its floor. He was Dean of the Cathedral from 1713 to 1745. Tickets must be purchased to enter the edifice. Adjacent to the Cathedral is the picturesque St Patrick’s Park created in 1901 by Sir Edward Guinness. Around the corner from the Cathedral down St Patrick’s Close can be found the Marsh’s Library. One of Dublin’s hidden gems, the Marsh’s Library is a perfectly preserved 18th century library. Entrance fee is only 3 euros. One of Europe’s oldest shopping centres, George’s Street Arcade is a Victorian indoor market home to an eclectic range of stores, stalls and cafes. 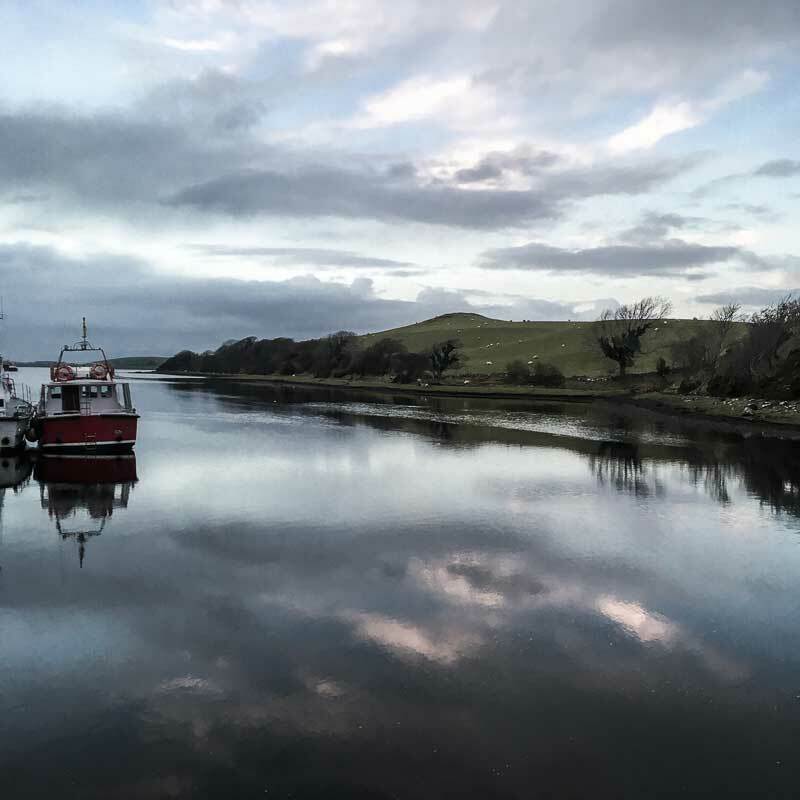 Visit its vintage shops, browse drawings from local artists or buy some homemade fudge from the Man of Aran. Discover the unexpected in George’s Street Arcade. In the heart of the Creative Quarter, Powerscourt Centre is a beautiful townhouse elegantly transformed into a shopping centre. 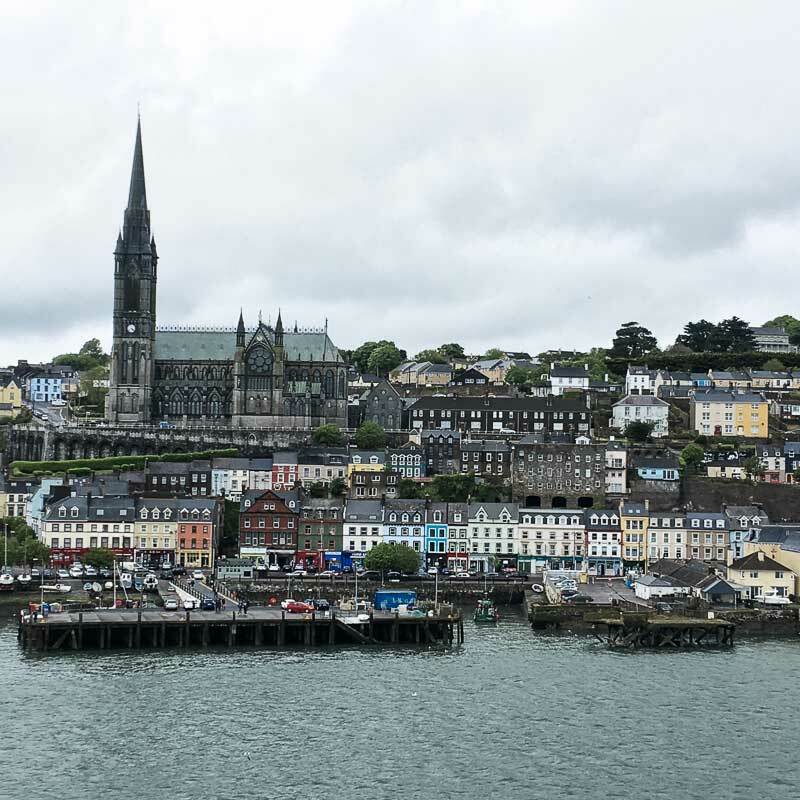 Discover designer and craft shops, antique Irish brooches and rings including the famous Claddagh ring or just take some time to relax with a coffee. Wander through the streets of the Creative Quarter for more independent stores with locally made products and Irish design. You’ve reached Grafton Street, Dublin’s main shopping district. This pedestrian-only street is home to many high-street brands from TopShop to Victoria’s Secret. On sunny days, Grafton Street is taken over by buskers and inventive entertainers. Talented or not, that’s up to you to decide! At Grafton Street’s far end sits Stephen’s Green Shopping Centre. Its impressive architecture of glass and steel should convince you to have a peek inside. Across from it can be found the Gaiety Theatre. Every summer the Gaiety welcome a world-renowned show: River Dance. Feeling hungry or tired? Time to get some energy back before exploring further. Cafes and restaurants abound in Grafton Street and nearby side streets. Eat a sandwich on the go, sit on a terrace for a coffee and light bite or enjoy comforting pub food. There’s something for every taste in and around Grafton Street. NEED MORE INFO ABOUT DUBLIN? Be sure to check my Dublin Travel Guide. Now that you have rested your feet for a little while, let’s get back to our tour of Dublin. St Stephen’s Green is Dublin’s largest Georgian garden square and one of the most popular public parks in the city. Donated by Sir Arthur Guinness to the people of Dublin in the 19th century, St Stephen’s Green has been a respite from the bustling city ever since. With elegant Georgian townhouses lined up all around it, Merrion Square is considered Dublin’s finest Georgian garden square. Among other notable residents, famous writers Oscar Wilde and W.B. 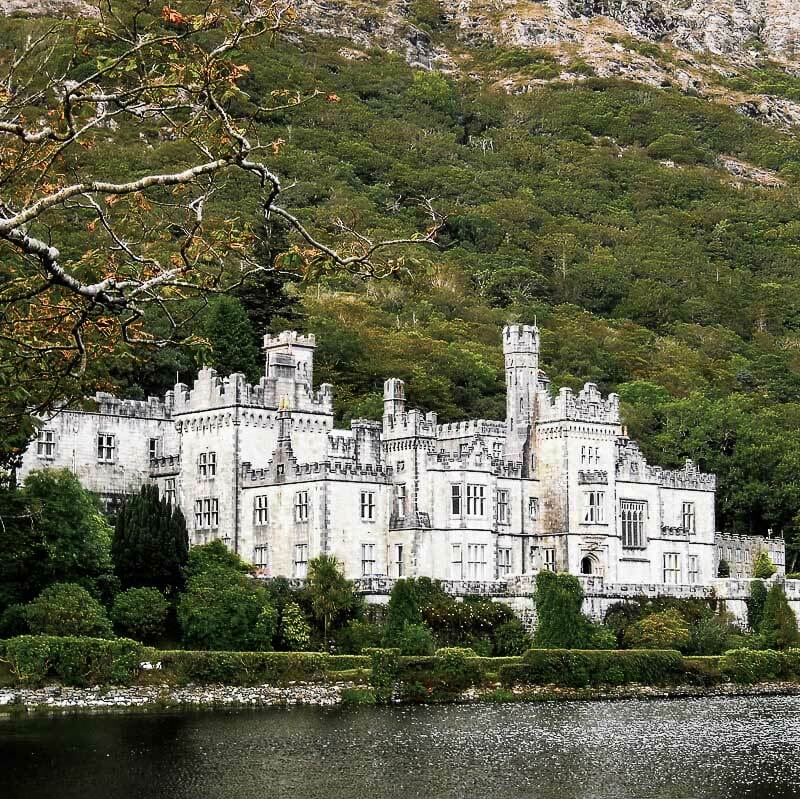 Yeats lived in those desirable homes, as well as Irish political leader Daniel O’Connell. Only open to the public since the 1960’s, it is worth wandering around the garden’s well maintained alleys and manicured lawns until you bump into the great Oscar Wilde himself resting on a rock. Behind a secured gate, Leinster House and the Government Buildings can be observed at a distance from Merrion Square. If you fancy a breath of culture along your walking tour, the National Museum of Ireland and the National Gallery both have their entrances around the corner. You can visit for free! Enter Trinity College through Nassau Street. Founded in 1592 by Queen Elizabeth I, Trinity College is Ireland’s oldest surviving university and its most prestigious. You can roam the grounds freely and observe the elegant architecture of its oldest buildings harmoniously arranged in squares. Tours are available from the main entrance on College Green, though not offered all year round. 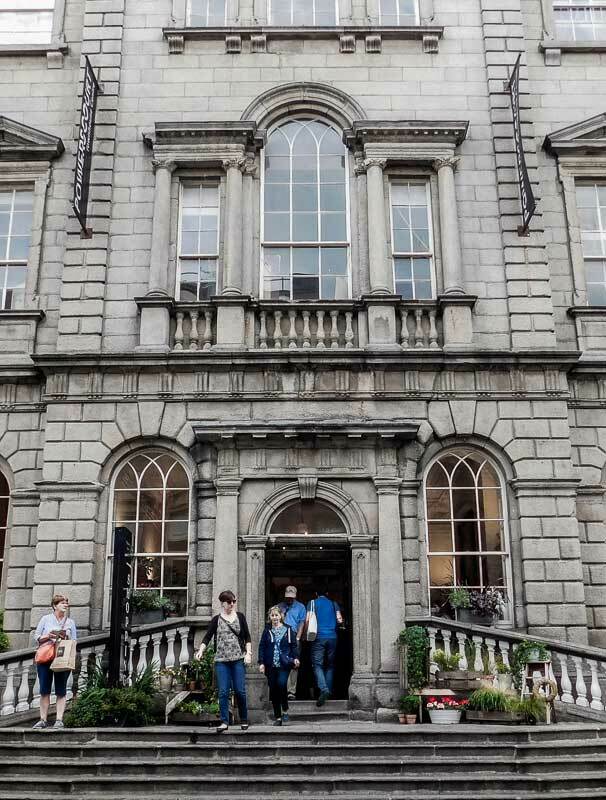 If you have some spare time, visit the Old Library (tickets only) that hosts an exhibition of the famous Book of Kells, an illuminated manuscript believed to date back to the 9th century. The Long Room with its spectacular vaulted ceiling is a must-see masterpiece. End your self-guided walking tour in front of St Andrew’s Church in St Andrew’s Street where the statue of Molly Malone is now located. Molly Malone is a fictional fishmonger rendered famous by a popular song of the same name. The song has become the unofficial anthem of Dublin and ending a tour of the city without paying your respect to Molly Malone could be perceived as rude. 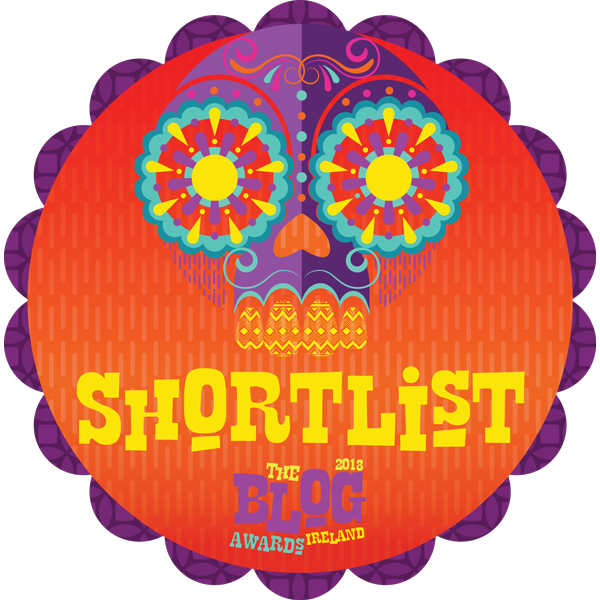 WONDERING WHAT ELSE YOU COULD DO IN DUBLIN? Be sure to check my Dublin Travel Guide.